Prakash getting his game face on! 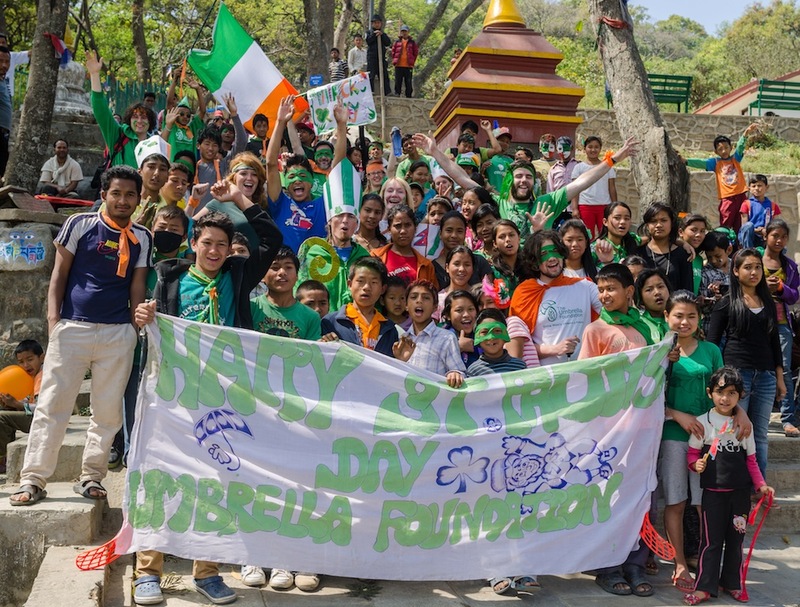 The Umbrella Foundation celebrated St. Patrick’s Day on Saturday, holding its 3rd annual parade in a raucous procession of green and orange through the streets of Swayambhu. 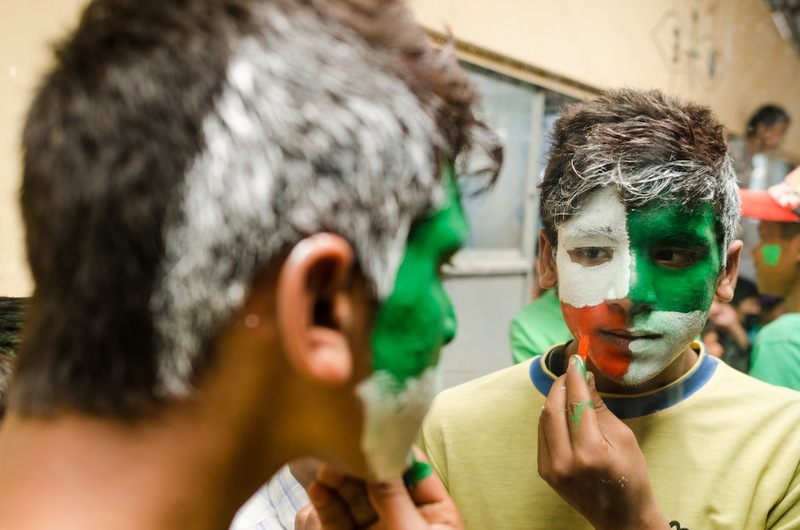 Volunteers and children representing all the houses met at Sagarmatha in the morning to prepare, many getting shamrocks painted on their faces and others donning ‘superhero’ masks and capes. 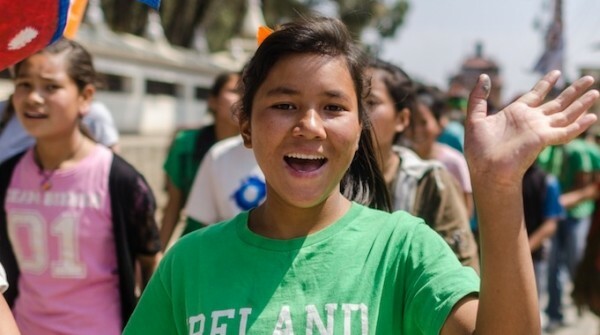 Everyone was excited to celebrate the Irish holiday, playfully nicknamed ‘Green Day’, and as we lined up the Annapurna and Manaslu boys hoisted a long banner that read ‘Happy St. Paddy’s Day!’ Marching along, children and volunteers alike got into the festive atmosphere as we all chanted and hollered. “Happy” one group would bellow: “Patrick’s Day” another would scream back in response. A sea of green alongside the Monkey Temple, Swayambhu. Hundreds of bemused locals stopped to gawk as we walked along and even ask some of us what we were protesting! 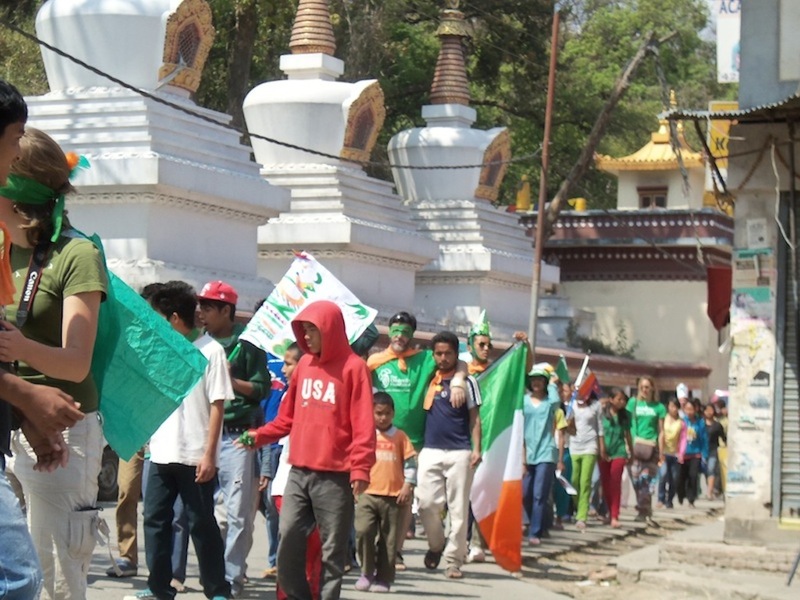 Our long column of green-and-orange clad revelers waved Irish flags and homemade posters and eventually made its way to the front entrance of the Monkey Temple, where we all stopped to take a group-photo on the steps. Aftewards we returned to Sagarmatha to feast on green-dyed selroti and orange-flavoured drinks. 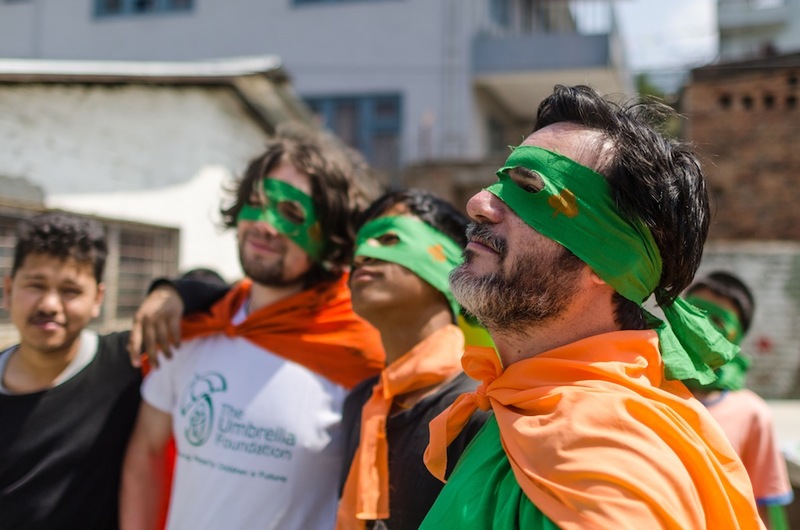 Volunteers went for the ‘Teenage Mutant Ninja Turtle’ look! The volunteers and children broke out into dance with many attempting the traditional Irish ceili. Many of the older boys then brought out some floormats and started breakdancing, spinning and weaving as the rest of us cheered and clapped along. Overall, it was an amazing time and many of the kids admitted that it was their favourite St. Patrick’s Day celebration yet!